This is the second part of a lengthy, double-CD tone poem meditating upon environmental crisis and the Earth’s fate in humanity’s hands. (Part 1 will be reviewed separately). The entirety of Earth Parts 1 and 2 consists of 24 Impressions. The second CD - Part 2 is broken up into 9 short Impressions, ranging from 2:33 to 7:00. 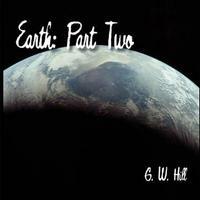 As with Earth Part 1, the pieces are entirely played by Gary Hill – predominantly on keyboard with sequenced electronic beats and some occasional guitar. The pace tends toward slow, almost meditative space music. But if it is meditative, it is a desolate, discomforting meditation. As with the Part 1, Earth – Part 2, forces a more existential meditation upon the immediacy of socio-ecological action. Again, like its prequel, Earth – Part 2 is more an electronic soundscape experiment than it is a traditionally composed song cycle. It sounds very much like the soundtrack to a film – and more of a Sci-Fi than terrestrially-centered epic. There is a sparse, minimal quality to the composing that would seem to work best as an accompanying audio compliment to a visual presentation such as film or dance. It seems intended to evoke imagery as might be the case with experimental multi-media installations. It is more suggestive than explicit in terms of invoking any particular story-line, though the sub-titles of several impressions do give a sense of an overarching structure that begins with an invocation of a small planet in space, moving on to specific eco-systemic disasters and extinction at the hands of humanity. 3 of the 9 Impressions bear subtitles which help guide the suggestive of this loose narrative structure. The overall tone and color are somewhat dark and unsettling, as is appropriate given the ominous theme of the aftermath of the Earth’s destruction. While Earth – Part 1 was grounded in the planet Earth, however disasterously-treated, Earth – Part 2 spends its time largely in the stars – beyond the now-dead planet Earth. As one might expect from a simple home-recorded project, the sound is a bit murky at times and some of the track transitions between impressions can be quite abrupt. (Editor’s note: Not only are these recordings home grown under primitive conditions, this was originally released on cassette tape in the late 1980’s. )There is a primitive, unpolished, quality, but there is a certain charm to this homespun feel, particularly in this era of over-produced, sterile post-New Age soundscapes. The rough edges of Earth make it feel a little more in line with some of the very early electronic experimentations of the earliest Tangerine Dream and Popol Vuh, when these groups were very much focused on the effect of pure electronic sound. This is not exactly Musique Concrète, but it does have a sense of electronic “found-sound.” In this, it has equal affinity with avant-garde leanings than with the typically soft palette of most New Age music. It is not “sit back and relax background music,” but challenges one to sit up, listen, and try to visualize the unfolding tale of ecological peril. Those wanting a dreamy background-soundscape will doubtless find themselves annoyed by some of the electronic bleeps and pulses. But those with an ear for something that weaves back and forth between the jumpy and the atmospheric, these tone poems with an avant edge might just satisfy and prompt expansive narrative visualization. Given the quasi-cinematic feel of the tone-cycle, it is tempting to try to read a narrative into the unfolding soundscape. Though not explicitly outlined in terms of narrative script, the sub-titles of some of the pieces direct this invitation to read a story within this succession of impressions. Nonetheless, the tale told seems to be left somewhat open to the viewer in terms of the details. Indeed, the dividing of the large-scale work into Impressions rather than Movements is appropriate. We are given sonic impressions that evoke feelings as much as lucid story-line. This open-endedness in terms of narrative interpretation draws the listener into a world of visualization – mentally creating one’s own version of the story-line. For this reason, I hope that the reader will indulge me in treating the pieces in terms of visual evocation of a story. These somber tone-poems invoke landscapes that shift and change with an unfolding sense of ominous, foreboding dissolution into desolation. It is a tale to be sure, but a tale that the listener must actively envision and unfold. Picking up after the desolation of the devastated Earth, chronicled in Earth Part 1, the tale continues, evoking the final destruction of the planet before taking off to the stars in search of a second chance for humanity. This is not a tale of death and rebirth, but rather that begins with the definitive death of the old planet and develops toward the colonization of a new world. The old planet – Earth – is irrevocably dead. New hope seems to be offered, but given the dark tragedy of the tale of Earth, one wonders whether this second chance will be equally squandered. The subtitle “New Hope?”, posed as a question, gives pause to wonder if this is indeed a happy ending, or else the prelude to a second act of continued planetary abuse and destruction. Thus, the grand arc of this Sci-Fi epic offers slight promise, though the chance for redemption exists. It is ultimately a morality play in which humanity is confronted with its prodigious capability for global destruction and its seeming imminence. Hope is offered, but in order to regain and realize it, humankind must ultimately confront and rectify its wanton greed and will to destroy. Here is the challenge. The entire song cycle appropriately offers a sonic challenge, echoing the overarching social commentary that is implied in the tale. The music is not so much music, but rather a sonic tone-poem that challenges the listener’s ears as its’ narrative challenges the mind. And so, Gary Hill has shepherded the listener through a grandiose, epic tale told in sound. It is a voyage – one that is not easy to undergo, but one that is ultimately thought-provoking. As with Part 1, Earth Part 2 cannot be considered relaxing, comforting music, for one cannot really settle back and passively listen. Rather, this is a somewhat in-your-face sonic voyage that demands attention and often aggressively undermines any sense of relaxing quietude. It requires that you pay attention and actively visualize its tale. This is most appropriate, given the desperate immediacy of its pointed warning. Complacency is no longer an option, active engagement is required to save Earth. (Editor’s Note: This was originally released under the name "Gary Hill," but went out of print. When reissued this year, it was released under "G. W. Hill" and with a new cover. This Gary Hill is the same Gary Hill who publishes Music Street Journal – and therefore is editing this review. 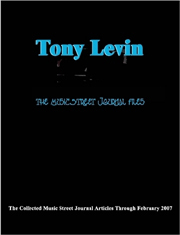 I have edited for grammar and layout, but not for content at all. I asked for and received an unbiased review. I will interject that while Scott’s interpretation of the material is not precisely what my intent was in recording this, it is close. I’m not going to correct it because interpretation is really the key to the whole thing. The story should be different no matter whose ears are hearing it. I should mention that this stuff was all recorded at least twenty years ago on what at the time was primitive equipment. So, the recording quality is not up to modern standards. This is essentially a re-issue of a double cassette only release from that time period. This is the second of two (the tape had too much time for one disc) parts to get the whole set released. 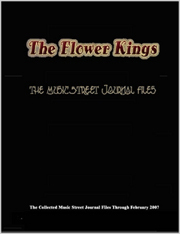 And you can buy it at https://www.createspace.com/2062265). This opens with a clatter as a battery of percussive bursts forge a clanging underpinning for meandering electronic noodles and bursts. This gives appropriate theme to the idea of the world gone wild, as suggested in the title of this impression. It would seem that the final throes of Part 1 had not invoked absolute dissolution, but perhaps were only the somber precursor to the coup-de-grâce. The world has not so much gone wild, as the state of balance has gone wild - tipped toward the final, devastating end. The barrage of percussive clatter evokes a bombing – perhaps the ultimate nuclear folly with which humanity has toyed for decades. A single synthesizer note appears to suggest a tiny vestige of life. Joined by ascending and descending electronic percussive patterns this lone keyboard tone meanders through a suitably desolate sonic landscape. Warbling amidst the sporadic beats and elegiac organ, the synth tone picks up life until the entire sound wall dissolves into a quiet, sparse guitar pattern that slowly devolves before picking back up in shimmering patterns and resettling into a lonely simple phrase (which cuts off in a discomfortingly abrupt manner). The dark, atmospheric organ returns in a Spartan roll of waves that settle into an otherworldly spacescape. Perhaps we are now suspended in the relative quietude of the planet’s atmosphere, looking down at the devastated orb below. Growing more forceful and busy, the atmospheric tone diminishes, as though descending toward a crash. A rhythmic pulse emerges to accompany the organ, leading to a brief, dark bass (?) solo that descends into lugubrious chaos before ascending into an ebbing-and-flowing cacophony of rock-guitar-rhythms with percussive beats and crashing laser bursts of sound. What this all means eludes me. The longest piece of the cycle begins with sustained organ notes supporting an increasingly busy, ascending plucked piano figure – all played on the synthesizer, of course. Above the warbling organ, the piano noodles in a spaceless space, seemingly suspended in time. Where we are now is unclear. There is no subtitle to help us conjure a sense of place within a narrative, and so we are left adrift, unsure of our location and direction. Aside from the persistent organ swells, the front-line tones and patterns change dramatically, dancing across the space as though offering snippets of a fast-moving visual field. For some reason my mind conjures the disorienting race through time and space toward the end of Kubrick’s 2001. A Space Odyssey. Perhaps we are experiencing a move through space – in search of a new world to colonize after having obliterated our homeworld. Again the rhythmic pulse slowly carries an ethereal, wandering synth line. Is this metered procession traveling through space? There is a more ponderous feel, searching perhaps for a locus of new life. Clatter, disruption, near-chaos - are we landing on a new world, bumpily crashing through its atmosphere? But, as atmosphere implies the possibility of life-sustaining air, this careening passage offers the sonic contractions for the birth of a new world. The keyboard batters against the ever-swelling organ like so much atmospheric debris. Short bursts of keyboard blasts could signal landing thrusters. This is not an easy arrival on a foreign planet. But is it truly foreign? The jumble of sounds and sonic blasts has become familiar – from the death-throes of the old world. This would seem to create an ominous reminder of the inglorious past of human planetary folly. There is a paradox here – as the foreign, new world might offer the hope of a second chance while simultaneously reminding one of the tragic absurdity of humanity’s failed first chance. Clanging remerges, as though literally conjuring the hammering of construction as a new habitat is built. Sustaining shelter to-be-sure, but one can hardly neglect to recall that similar construction aided the destruction of the initial home planet. Thus, this building a new future seems to parallel the building of the disastrous past. Has humankind been saved, or is this simply the overture to another planet being lost? As the hammering carries on over several uncomfortable minutes, one wonders if this could be anything but the construction of a new destruction. Swelling space bursts of synthesized flourishes here seem to bring Keith Emerson to the planet, as the opening keyboard wails of ELP’s “Rondo” come to mind. However, here the setting remains adamantly extraterrestrial, with none of the rollicking rhythm that would ground it in the terrestrial romp of “Rondo.” The allusion is perhaps apt, as this rondo returns us to the setting of the opening of Earth – with a world in danger. The tale has truly come around again – the serpent bites its tail, humanity again threatens to level a planet.